As for developer updates, we redid our Pricing Plans to offer more solutions for smaller stores and still offer custom plans for our enterprise users. PriceMole is still available for free, no credit card required, for an unlimited time with all PriceMole Features for 5 products. Then plans start as small as 50 for $29.95, 100 products for $49.95, 250 products for $99.95 and 500 products for $199.95. 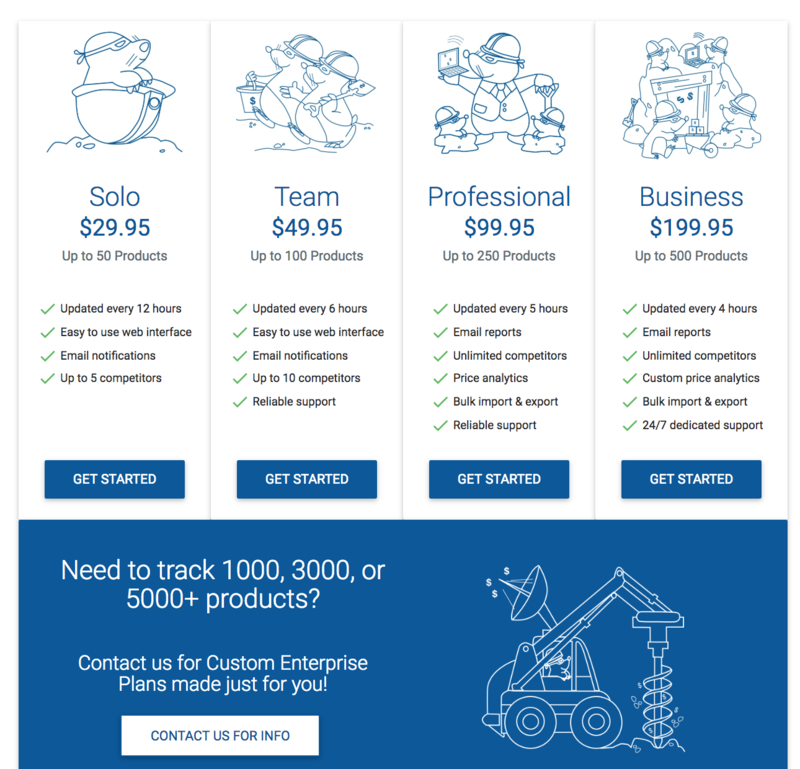 Everyone with more than 500 products is currently on a custom plan designed just for them. 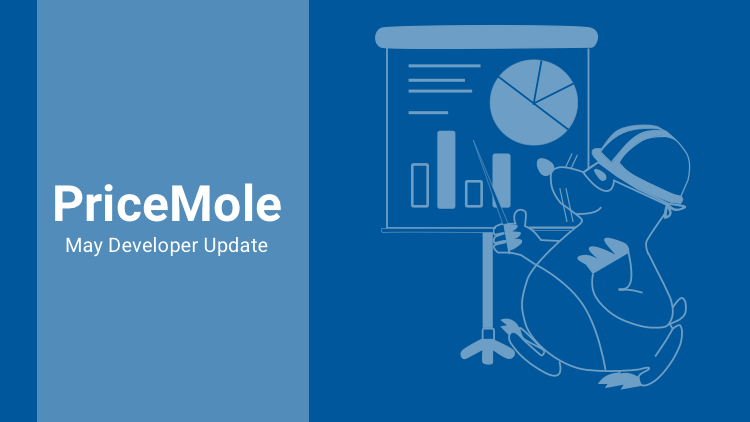 Our front-end developers and designers redid the entire PriceMole site, with updated information, images, new contact us page, new FAQ page and much more. Go check it out to see the full version! 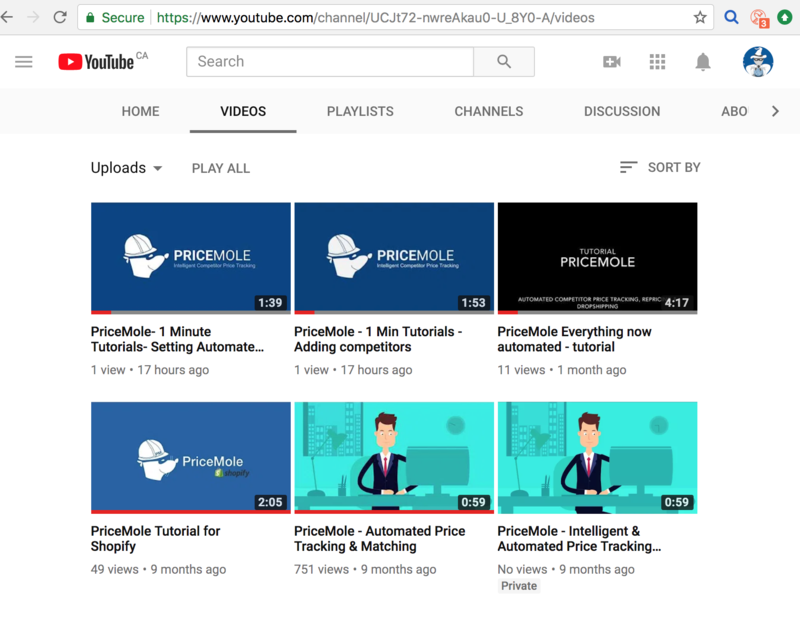 We have started creating PriceMole - 1 minute tutorials that help you get started, setup and using all of PriceMole’s easy to use and advanced features. Check out whats available on Youtube to today, with new videos added weekly. 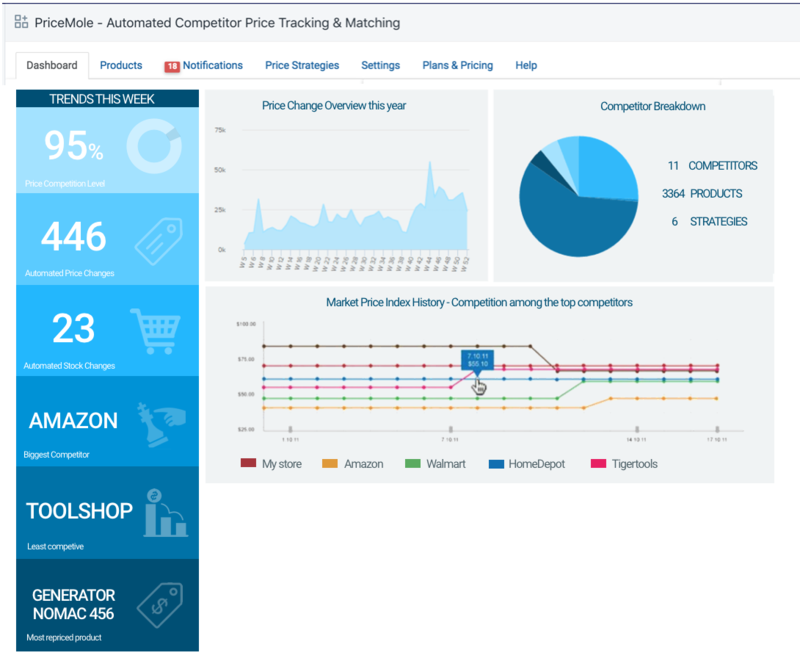 With all the new advanced analytics and interesting insights with PriceMole Oracle, we decided to redo the Dashboard to give you KPI’s you can check on everyday or weekly, graphs displaying price and stock trends, a whole new overview to PriceMole. 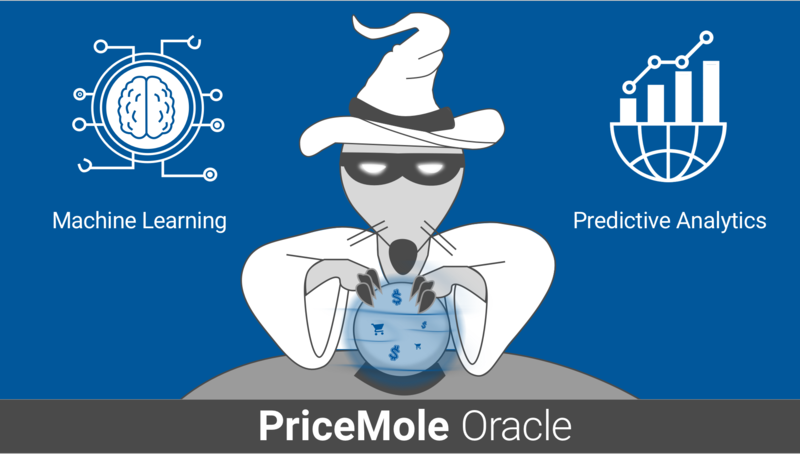 This month we have been busy working on PriceMole Oracle and new Machine Learning based predictive analytics. Stay tuned for the release soon! 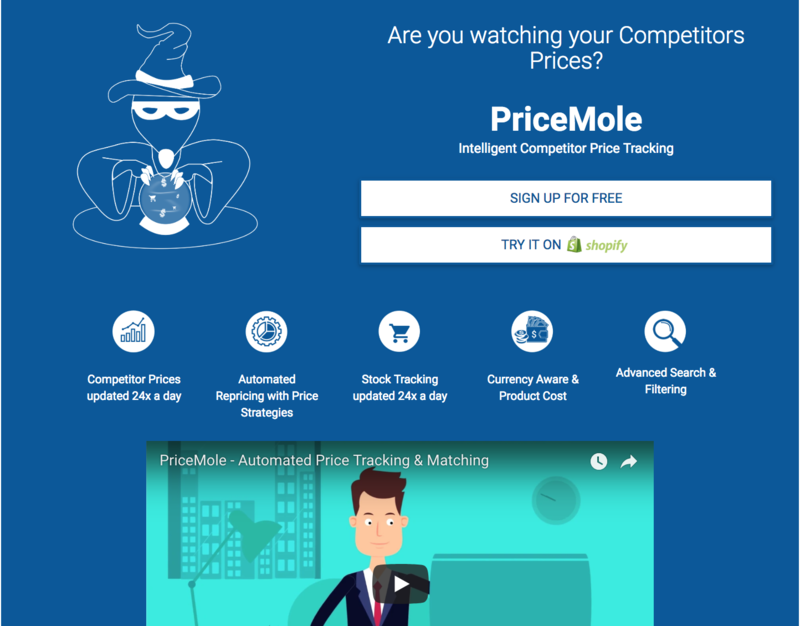 With PriceMole you always know what your competitors are up to. Notification alerts and reports will keep you informed of any changes to prices you are tracking. Pricing strategies will automate your response and keep your prices competitive. Contact us for more details and start your competitor price monitoring today!